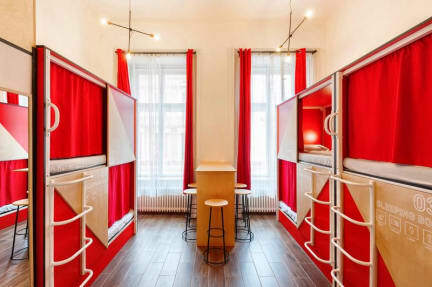 Adagio Hostel 1.0 Oktogon, Budapeszt, Węgry : Rezerwuj teraz! Hostel location was good, easy to get to the main attractions by foot distance. 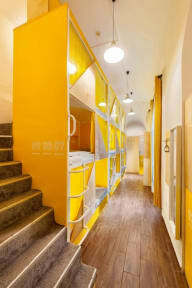 Hostel looks different than on the actual pics - condition is less than shown. All pillows are filled with feather - not great for allergics such as me, they found me a normal pillow but it wasn’t comfortable. Matters was very thin and not clean, I had to change my own sheets! I got a bunk bed all the way up above shower cabin that was super tall. Easy to fall off the rails when walking down. Nice staff though!